Invest In Your Values. Invest Locally. The PVGrows Investment Fund offers an investment opportunity for individuals, institutions and foundations to invest in building a healthier food system in the Pioneer Valley of Massachusetts. Take a look at the PVGrows Investment Fund Offering Memorandum. 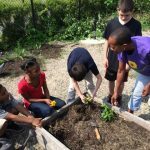 The PVGrows Investment Fund (PVGIF) is a project of the Franklin County Community Development Corporation (FCCDC) which grew from the work of the PVGrows Network. It comprises three distinct pools of investment in the local food system so that individuals, institutions and foundations can all invest. Your investment will provide financing to farm and food businesses located primarily in the Pioneer Valley. Together, we will all work to strengthen and grow the local food economy – more vibrant farm and food businesses, more local jobs, and more access to healthy food in the Pioneer Valley. 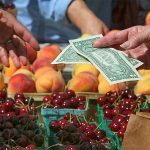 The PVGrows Investment Fund offers three types of investments of different sizes and terms that are pooled together to provide the financing that farm and food entrepreneurs need to grow their business. The Community Investment Pool – The minimum investment is $1,000, and the maximum investment is $10,000, open to all investors. Community Investment Notes are for 5-year terms, with an interest rate of 2% (or less if you choose) per year. If the Community Investment Pool experiences losses, all or a portion of those losses may be covered by the Risk Capital Pool, as described below. The Community Investment Pool is open and will be capped at $500,000. The Patient Capital Pool – The minimum investment is $10,000 and the maximum investment is $250,000, open to accredited investors and other qualified investors. Patient Capital Notes are for 8-year terms with an interest rate of 4% (or less if you choose) per year, but subject to the performance of this pool. Any losses in this pool will not be covered by the Risk Capital Pool, as described below. The Patient Capital Pool is open and will be capped at $2,000,000. The Risk Capital Pool – This Pool has been fully funded by Foundations. It is intended to serve as a loan loss reserve for the Community Investment Pool. The Risk Capital Pool will be used to cover (in whole or in part) any losses on investments made in the Community Investment Pool for the first five-year term. The PVGrows Risk Capital Pool capped at $100,000 and is full. Farm and food entrepreneurs apply for financing and are reviewed by the PVGrows Investment Fund Advisory Committee. The committee ensures that loan applicants are a good mission fit, identifies technical assistance needs and provides those services to farm and food entrepreneurs, as needed. Financing may be provided by other PVGrows lending partners as well. Once a business is ready to be reviewed for financing, the Franklin County Community Development Corporation conducts due diligence and underwriting, then provides financing as appropriate. Investors share in the risks and returns, and benefit from a stronger, more vibrant local food system. This offering is open to residents of Massachusetts, Connecticut, Maine, New Hampshire, New York, Rhode Island and Vermont.